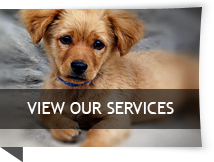 Arlington Heights Animal Hospital is a well-established, full-service, small animal veterinary hospital in Fort Worth TX providing comprehensive medical, surgical and pet dental care. We provide a broad spectrum of diagnostic procedures through in-house testing and the use of external laboratories. We also work closely with local practices when special diagnostic procedures are required. Check out our services menu for a complete list and description of what we offer.